Surprise news: Microsoft killed its not-quite-a-smartphone Kin line after a mere month and a half on store shelves. Word came down today, first in a post from Gizmodo and later in an official statement from Microsoft, that the brand-new Kin line of phones is now discontinued. 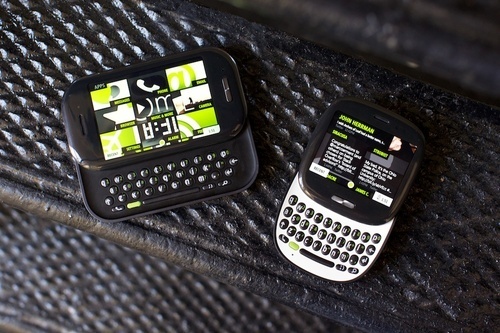 Kin, you might remember, was a series of two phones aimed at the young teenage set. They had some very interesting elements, including an innovative cloud-based backup service, but fell victim to confusing branding and an uncertain place in the phone hierarchy. Are they messaging phones, like the Sidekick? Well, sort of, but they require full data plans like a smartphone. So are they smartphones, then? Well, sort of, but they don’t have apps to download or any sort of customization. Microsoft didn’t give a reason for the demise of Kin, but sales have certainly not been strong. Despite price cuts, there were rumors that Microsoft sold only 500 phones in six weeks–a disastrous, unilateral flop, if true. We have made the decision to focus on our Windows Phone 7 launch and we will not ship KIN in Europe this fall as planned. Additionally, we are integrating our KIN team with the Windows Phone 7 team, incorporating valuable ideas and technologies from KIN into future Windows Phone releases. We will continue to work with Verizon in the U.S. to sell current KIN phones. It’s embarrassing news for Microsoft–the Kin was a major new product launch, and to fail so spectacularly that it’d be pulled after six weeks is surely a major hit to the company’s confidence. Kin phones will remain on sale at Verizon stores until sold out, and Microsoft will provide service to purchasers of the phones.